Apart from lighting firecrackers, we're also getting ready for a debate about air pollution we go through every year as part of the festivities. Sarath Guttikunda, is the Director of Urban Emissions (India), an independent research group on air pollution, issuing three-day air quality forecasts for the Greater Delhi region. The monsoon season is making its way out across the Indian sub-continent. The fields are green and lush, the dust has settled, the air is clean (somewhat) at the end of the wet season. Collectively, we have a short-term memory; we forget that less than a year ago we were tying ourselves in knots rueing the high levels of air pollution, counting the toll from asthma related cases, exchanging notes on the best indoor and outdoor filters, the most effective face-masks, the lack of policy, toothless government agencies, figuring out strategies to escape living in Delhi for want of a healthier life. Yet we are on the cusp of a re-run of the same situation: a combination of high levels of pollution as a result of post-monsoon forest fires and agricultural burning, fireworks during the Deepavali celebrations and changing meteorological conditions as the Northern region of the Indian subcontinent gets ready for winter. Come Deepavali, in all probability, we will witness unhealthy spikes in air pollution leading to an increase in related morbidity and mortality. This is also the time when the debate around strategies to address pollution reaches a crescendo. If we wait it out – the debate usually dies down till people either forget, are indifferent or are too disillusioned to expect change – only to be resurrected the following year. The results of internet searches for “air pollution in Delhi” or “Delhi air quality” is a quantifiable proxy for general interest in the topic. Results from Google Trends allows us to quantify this on a timeline and makes for some interesting analysis. The first graph in the figure (above) is a timeline of percentage interest in the topic of “Delhi Air Quality” over two years. 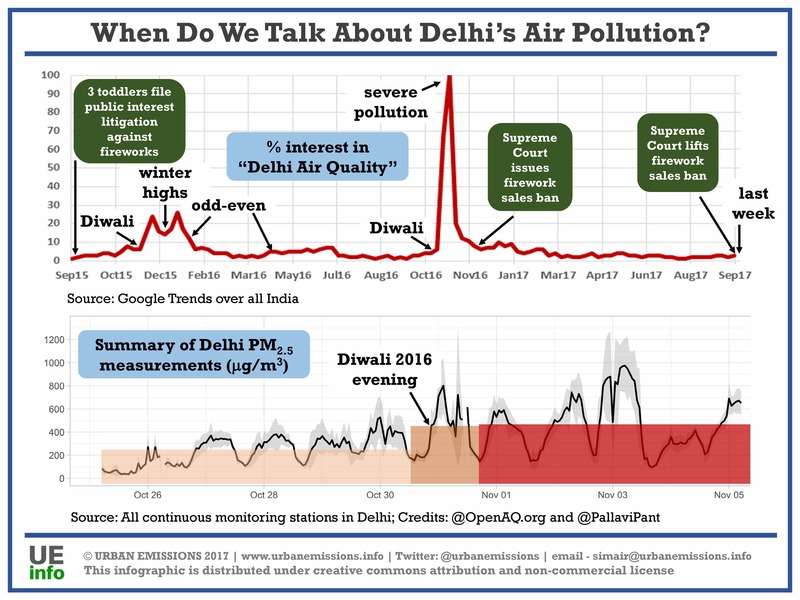 It shows clear spikes in interest in ‘air pollution’ around the Deepavali festival when the corresponding air pollution spikes because of fireworks. In 2015, the Delhi government tried out initiatives such as the ‘odd-even’ traffic system to ease some pollution. Following the booming interest in air pollution when it is at its worst every year, interest drops precipitously as summer comes along and meteorological conditions start clearing the pollution. If the interest in air pollution during the week of Deepavali in 2016 is normalised to 100%, the interest last week (September 25 to October 1, 2017) is a dismal 3%. It is hard to explain how. Even with such an acute air pollution event and with the accompanying interest in the topic, there has been no subsequent follow up to improve conditions. The lower graph in the figure tracks air pollution during Deepavali 2016. It was one of the worst air pollution episodes in Delhi’s history. The 24-hour average PM2.5 (particulate matter size fraction with the most linkages to human health) was 240 ± 119 μg/m3 between Oct 25 and 30, 2016. This spiked to 437 ± 211 μg/m3 on Deepavali evening and remained at 447 ± 227 μg/m3 for the remainder of the week, through November 5, 2016. (This included contributions from agricultural crop residue burning emissions, exaggerated by slow-moving winds). Note that the national ambient standard for 24-hour PM2.5 averages 60 μg/m3, and the World Health Organisation guideline is 25 μg/m3. During the same week, PM2.5 concentrations at one of the monitoring stations in Delhi hovered between 2,000 and 3,500 μg/m3 for some hours. Post-Deepavali, the pollution levels were so bad and persistent that, for the first time in Delhi, schools had to remain closed to limit exposure of children to these severe to dangerous pollution levels. As we head to this year’s festival and winter season, all indicators suggest that we are likely to face a similar situation as far as air pollution levels are concerned. Last week, between September 25 and October 1, 2017, Delhi’s air pollution has hovered around 100 μg/m3 (‘poor’ on the national AQI scale). This does not bode well for pollution levels in the city in general with Deepavali only two weeks away. In a bit to address at least this cause of acute air pollution in the city, in September 2015, three toddlers filed a public interest ligation in the Supreme Court of India, to request a full ban on the sale of fireworks. In an apparent victory for cleaner air, in November 2016, the Supreme Court ordered a complete ban on the sale of firecrackers in Delhi. What seemed as a progressive measure was however annulled by a ‘temporary’ ruling last month, when the Supreme Court lifted the ban, with the caveat that it will reinstitute the ban if it finds evidence that fireworks are a major pollutant during this festive season. True, pollution created during Dusshera and Deepavali is temporary, which can linger for up to two to four days after the fireworks, it is important to understand that these short-term bursts can lead to higher exposure rates than the already high pollution from everyday activities (transport, industries, cooking, heating, waste-burning and construction). What makes fireworks so polluting? 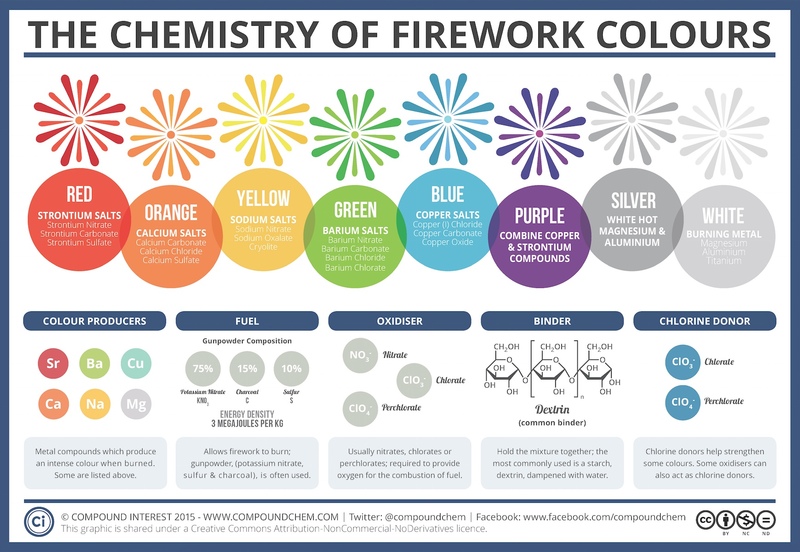 Making fireworks light up the night sky is a complex chemical process, created with a combination of metal salts, fuel mixture and binders. Before, during and after Deepavali 2016, the Central Pollution Control Board (CPCB, New Delhi), collected particulate matter samples to conduct a chemical analysis to better understand the contribution of different metals. Even the limited number of samples shows a 10-100x increase in the concentrations of strontium, copper, calcium, titanium, iron and chlorine before and during Deepavali. We as citizens can do our bit towards reducing air pollution during the festival by taking a pledge to not burn firecrackers. However, given that the situation of air quality is so bad in Delhi (and in fact in all Indian cities) both due to acute and chronic reasons, it is unreasonable to put the onus of responsibility on individuals alone. There needs to be a top-down mandate to address the causes of air pollution. In 2016 and 2017, many Chinese cities effectively restricted the use of fireworks during their new year celebrations. 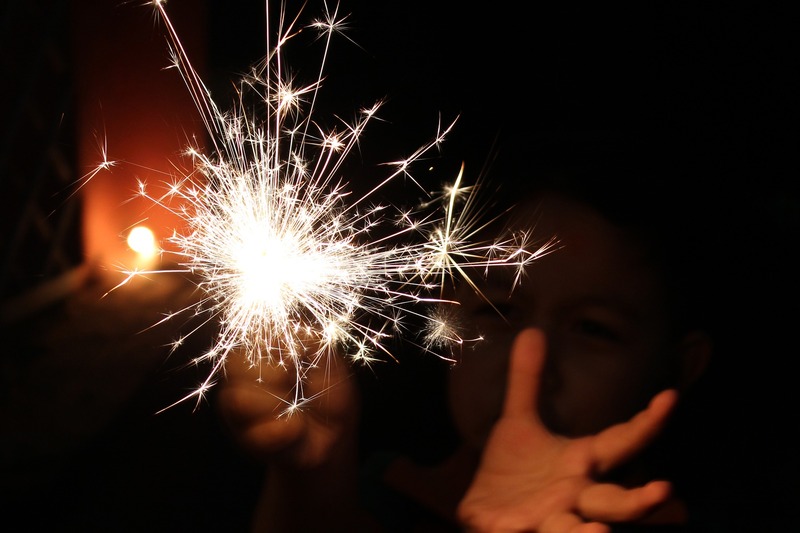 The initial ruling of the Supreme Court banning fireworks was a step in the right direction – until it was revoked for exactly the period it was most needed. These kinds of conflicting rulings suggest that air pollution and addressing its main causes are not a priority for the government. We know that air pollution plagues Delhi every winter and we have been debating measures to address them, without the accompanying action, for two decades. It is hard to tell what we are waiting for before we decide to act with (short- and long-term) concrete measures to improve air quality in the city.